Now, I want for looking someone who can make an weapon mod for me. As Indonesian, I attracted to make a weapon which Indonesian fighters use at Indonesian National Revolution. If you have any question, feel free to post here Okay? Good.
.:: Raggy's Arsenal Factory ::. If you can do that - consider yourself ready for modding. Modding Soldat is basically just replacing pictures. If you want, you can also play around with weapons.ini file to make weapons not only look, but also shoot differently. Download a mod as an example, look at how it was made. You'll see that it's actually rather simple. you might find some stuff that you can use here also http://forums.soldat.pl/index.php?topic=34493.0 and also here http://forums.soldat.pl/index.php?topic=35589.0 (but you will need to do some resizing). Feel free to use what you want. There is more to modding then JUST making interface weapons. The REAL work in a mod is the stuff that you don't see things like Sfx and Weapons .ini also the text modding is very important and takes a lot of time and care. The Indonesian loot the Dutch gift weapon for kick their asses. And not only from Dutch, but also from Japanese (Nambu). I think what you're talking about is leaning towards "total conversion". I'm talking about a basic weapon mod which, I think, is what Ragman wants. I wasn't referring to just modding interface weapons, but I think it's a big part of a mod. So if you can make them - everything else shouldn't be as hard (though remaking weapons.ini is a different story). Sounds are important, but they're usually found on the net or ripped from other games, and are rarely created from scratch. So it's not so much a matter of skill, as a matter of good taste and lots of googling. Sure sometimes it's a good idea to edit the sounds a bit, but you can get away without it if you find sounds that are good as they are. Text is not a big deal. If you're referring to fonts and settings - I don't think it's essential for a mod (same goes for Weapons.ini, since they almost never make it to online servers). Most mods don't mess with the text at all and they are still called "mods". Player skins? You mean interfaces-gfx? No, I meant the "gostek" - the soldier that runs around on the battlefield. Thanks to MattH to be kind give me permission to use some of him's pixel art. All MattH pixel art was modified by me. Now, I need few times for fixed some bugs. Just need a few time, and I will release them. The Indonesian National Revolution (also known as the Indonesian War of Independence) was fought between Indonesia and the occupying forces of the Dutch Empire. The conflict began with Indonesia's declaration of independence in the year 1945, and continued at both military and diplomatic levels until the Netherlands recognized Indonesia's independence in the year 1949. Throughout the early years of the conflict, Dutch forces were able to maintain control over towns and cities on the islands of Java and Sumatra, but could not maintain the same levels of control over countryside populations or smaller villages. The Dutch, weakened so soon after WWII, also had a great deal of help from close British allies, who took part in the military occupation. 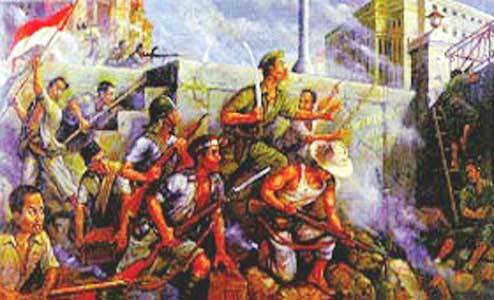 The largest and most significant single battle of the Indonesian National Revolution was the Battle of Surabaya, which occurred in 1945 and later became a symbol of Indonesian revolt and resistance to colonial rule. Most of the fighting involved British allied occupying forces. 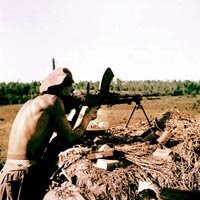 Ultimately, the Indonesian forces suffered military defeat, but the battle was enough to convince the United Kingdom to remain neutral in the conflict, and possibly contributed to the UK's eventual support of Indonesian independence in the United Nations. Without British assistance, the Dutch occupation of Indonesia eventually crumbled under the strain of Indonesian military determination and diplomatic appeals on the international stage. The BH0-006 and CISA is worldwide accredited certification that validates in CISM and cissp training with the professionalâ€™s knowledge and skills of IT system security.